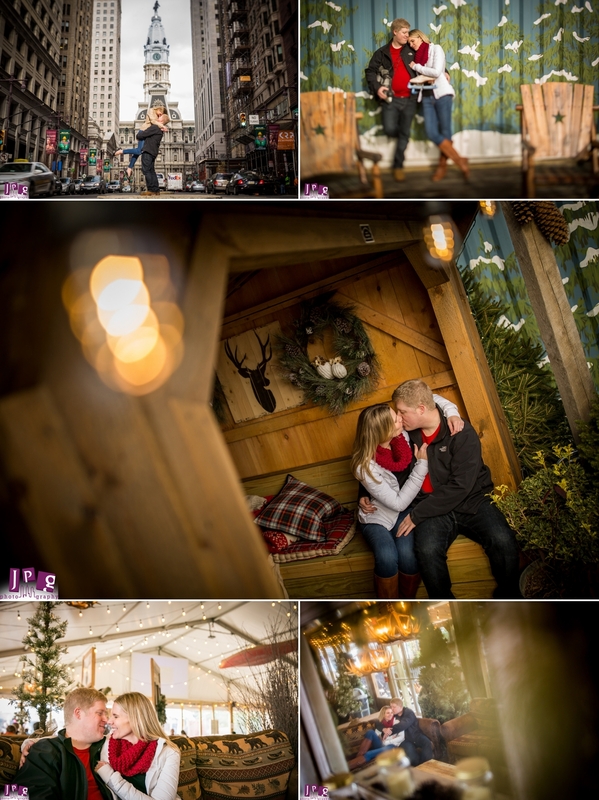 Penn’s Landing has transformed its riverfront into a winter-wonderland at Winterfest, and Philadelphia engagement photographers at JPG were delighted to capture Kelly and Ian’s portraits amidst all the fun. The event includes an olympic-sized ice skating rink, a ski chalet-style lodge, and a variety of holiday trees that give the scene a rustic, mountain vibe. It was an idyllic location to document Kelly and Ian on a perfect winter date. A couple of perks to approaching any shoot through a photojournalistic lens is that it not only gives rise to a greater variety of images, but also allows clients to relax without the stress of excessive posing. 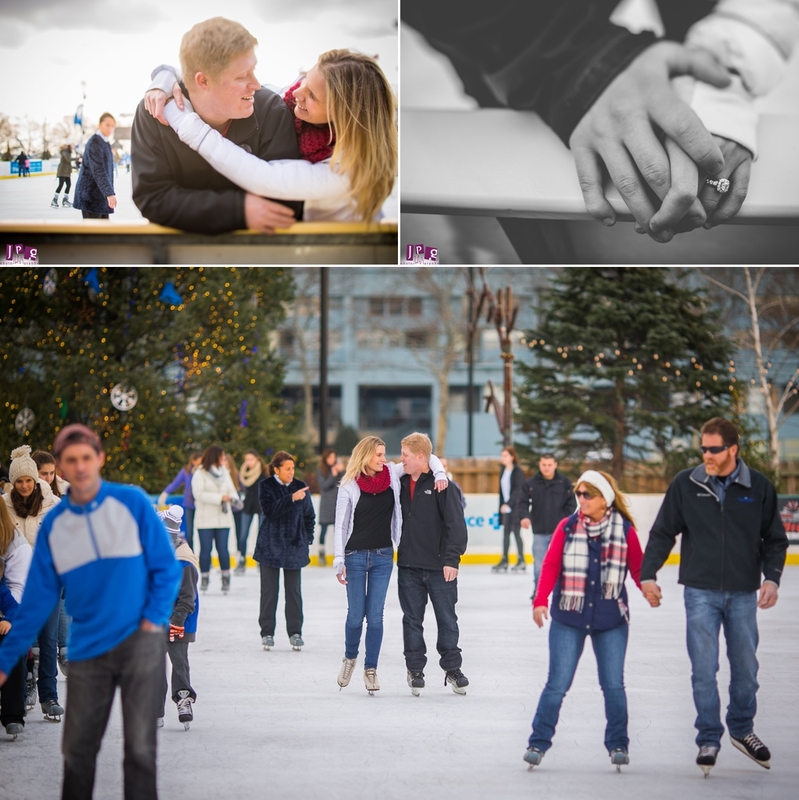 With Kelly and Ian, we were able to catch playful, candid moments on the ice rink as well as cozy intimate images of the pair snuggling in the ski lodge. We wrapped up with some classic images in front of City Hall. In photojournalism, we take a step back from directing, and allow our clients to simply be themselves and their personalities shine. This is the kind of feedback we strive for always. Fun and relaxed shoots capturing real moments is our forte. We are so looking forward to hundreds more on Kelly and Ian’s big day.